Hearing loss can affect anyone and most, if not all, of us will experience it at some point in life. As you can imagine, if you have spent your career playing music on stages, at times with mountainous speakers and sound systems behind you, you may be at a slightly greater risk than others. For many of our favorite musicians, they are only now realizing the effects of their long careers of performing. It’s unfortunate to see the careers brought to a halt for some of the most famous musicians with hearing loss and tinnitus. After recommendations from their audiologists and hearing specialists, the time has to come where you don’t want to risk complete and permanent damage. When it comes to hearing health it’s always more important to show your hearing some love and relaxation to prevent further hearing loss. Hearing health is something that can be all too easy to take for granted in our youth. Going to loud concerts and cranking the music in the car are some of the most common among us, and don’t even get me started on earbuds. If you’re a musician, you’re probably already aware that you’re more likely to be at risk of hearing loss than your non-musician friends. The blaring of speakers, the thump of the bass and drums are just a few of the potential snowballs that build and build into noise-induced hearing loss and tinnitus over time. Now more than ever, it’s important to share information and experiences with hearing loss to help inform the public. If the stories of some of music’s most iconic artists can help modern day musicians prevent damage to their own hearing, then it’s a job well done. Musicians with hearing loss are all too common. Luckily, musicians these days have access to high-fidelity, protective earplugs to shield their ears from dangerously loud frequencies. For many older musicians, the damage has already been done. The treatment option of choice for the majority of them has been to embrace the use of hearing aids. Neil Young is one of the musicians that experience hearing loss and tinnitus today. He attributes it to a pretty specific period in his career with the band Crazy Horse, when they were doing the final mixing of the live album Weld. Coldplay front-man Christopher Martin is very open about his experience with hearing loss and tinnitus and has shared advice to younger musicians looking for ways to prevent the feeling of the impending hearing loss. Martin has worked on multiple occasions with Action on Hearing Loss to help spread awareness on the subject. He began wearing hearing protection after feeling encroaching issues around the age of 25. “Now the band always uses moulded filter ear plugs, or inner ear monitors, at live concerts. Since I’ve started protecting my ears it hasn’t got any worse – touch wood,” says Chris Martin. Phil Collins is another one of the many musicians with hearing loss. In 2011 he announced his retirement from his legendary music career, chalking it up to health reasons – one of which was the loss of hearing in his left ear. He spoke to Launch about his experience with hearing loss. Collins was found to have a condition that sends an improper level of blood flow which can also cause balance issues or even vertigo. After taking a break from music to focus on his hearing health, he ended up later returning to music, but with a focus on composing rather than performing. 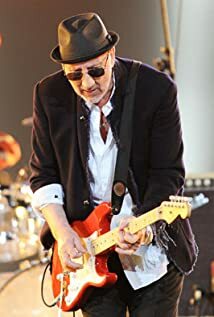 Pete Townshend, best known for his time with “The Who” is very open about his hearing loss and often blames it on studio headphones. It may not come as too much of a surprise to learn that rock musicians run a greater risk of hearing loss. A Finnish study of classical musicians found that 15 percent of them suffered from some type of hearing loss. “Temporary tinnitus” during rehearsals affected a full 41 percent of them. Despite these statistics, however, fewer than 25 percent of the classical musicians studied used hearing protection. The good news is that noise-induced hearing loss and tinnitus can be avoided. If you’re a musician – no matter what type of music you play – talk to your hearing care professional about how best to protect your ears from potential damage due to exposure to loud noise.